A basic Wi-Fi wireless home network can be assembled fairly quickly. However, the performance of a Wi-Fi network can decline for a number of reasons. Many homeowners aren't aware of the options available to maintain a network and make it better over time. Consider these suggestions for improving the capability, performance, and security of your wireless home network. While Wi-Fi gear can run for many years before failing, you should consider replacing older equipment. Many homeowners know about network routers and access points, but they may not realize that Wi-Fi technology continually improves. Newer Wi-Fi gear typically runs faster, is more reliable and offers better compatibility with your home electronic gadgets. Don't overlook the benefits that more advanced gear, including wireless print servers, range extenders and game adapters. Before settling for the cheapest basic network setup that supports only a few PCs or phones, research these types of products to see if they may benefit your home and can be acquired for reasonable prices. Users often quickly setup their wireless network only to find that it doesn't function well in certain areas of the home, while others may enjoy a working setup at first but find that their network crashes when a microwave oven or cordless phone is turned on. PCs in a basement, attic or corner room may suffer from chronically poor network performance, but it may be unclear how to fix the problem. One easy way to address these common Wi-Fi networking issues is to simply move the wireless router to a better location. In most countries, Wi-Fi equipment can transmit signals on any of several different channels (similar to televisions). Interference on a channel can impact your Wi-Fi network's performance. Most wireless routers ship with the same default channel numbers and most users never think about changing this. You may experience radio interference from a neighbor's router on the same channel, or even from some other piece of electronic equipment. Changing the Wi-Fi channel is often the best way to fix this problem. Wireless routers contain built-in programmable logic called firmware. Much like software, firmware can be upgraded and improved. A version of firmware is installed on the router by the manufacturer, and this logic is essential to the operation of the device. Many routers offer a firmware upgrade capability that allows users to install newer versions. Updating your firmware can provide performance improvements, security enhancements or better reliability. Look for firmware updates on the router manufacturer's website—usually under a support section—and upgrade as needed. No matter where in a residence a wireless router is installed, sometimes the Wi-Fi signal will simply not be strong enough to maintain a good connection. The likelihood of this problem increases the further away from the router a client is and the more obstructions, such as brick walls, stand between the client and the router. One way to solve this problem is to upgrade the Wi-Fi antenna installed on the router. Some routers do not support antenna upgrades, but many do. The alternative involves installing an additional device called a repeater. As with wireless routers, you can also improve the signal strength of wireless clients. Consider this when dealing with a single Wi-Fi device that suffers from a very short signal range compared to the rest of your devices. This technique can improve the ability of laptop computers to connect to Wi-Fi hotspots, for example. 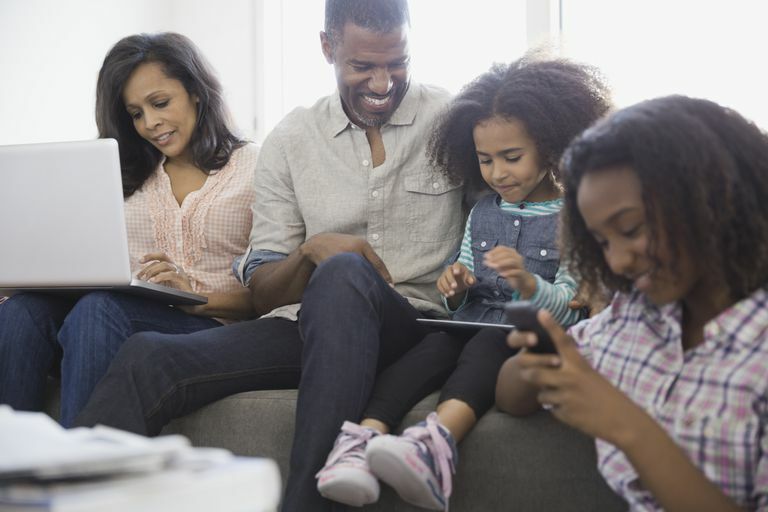 Many homeowners consider their wireless network setup a success when basic file and internet connection sharing are functional. However, the job should not be considered finished until proper security measures are in place. Follow this checklist of essential steps for establishing and maintaining good Wi-Fi security on a home network. Why Replace or Upgrade the Wi-Fi Antenna on a Router?